Edmonton, AB - The RCMP worked in overdrive throughout 2015 as a result of a spike in homicides that occurred within its 112 RCMP detachment jurisdictions throughout Alberta last year. In 2015, investigators responded to 65 homicides compared to 36 in 2014. This is also much higher than the 10-year (2005-15) average of 40 homicides per year. By the end of 2015, the RCMP had concluded 45 of the 65 homicide investigations. Seven perpetrators committed suicide before police could arrest and charge them. Investigations are still ongoing in the remaining cases. The RCMP has not identified any factors to indicate the upward trend will continue in 2016. So far this year, the RCMP has been called upon to investigate six homicides in Alberta RCMP jurisdictions. The first step in a RCMP homicide investigation involves RCMP personnel from the local detachment area attending the location. They respond to any immediate public safety threats and secure the crime scene. The Major Crime Unit (MCU), based in Edmonton and Calgary, is engaged immediately. There are 60 homicide investigators working in MCU. In most cases, MCU investigators travel to by car, but travel to more remote locations may require other modes of transportation. Upon arrival at the scene, MCU investigators assume carriage of the crime scene and the investigation going forward. .
Forensic Identification Services (FIS) personnel, who are located in 10 locations throughout Alberta, also attend the scene to collect and process evidence. Other units are engaged to assist as required. Units that regularly assist in homicide investigations include the Emergency Response Team, Police Dog Services, Traffic Services, Air Services, Victim Services and the Special Tactical Operations Team. Personnel from RCMP General Investigative Sections located in larger detachment areas throughout Alberta are also engaged to assist as required. 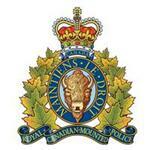 The RCMP employs the investigative best practice of frontloading all homicide investigations with the personnel required to ensure police gather as much information as early as possible after the crime occurs. The investigative team continues its work until the case is concluded. In most cases, this involves criminal charges being laid against one or more suspects. A high homicide rate in one year does not mean that existing homicide files are set aside. The RCMP has three teams of six investigators and nine civilian employees who work in the Historical Homicide Unit. Their primary focus is on the 200 unsolved homicides in Alberta dating back to 1983. This ensures that a fluctuating homicide rate does not negatively impact the resources available to work on these files.